If a shower faucet handle is too tight, it will be difficult for you to turn. Loosen the handle to avoid continually struggling to turn the handle, which could possibly lead to damaging the handle and causing the additional problem of a leak. 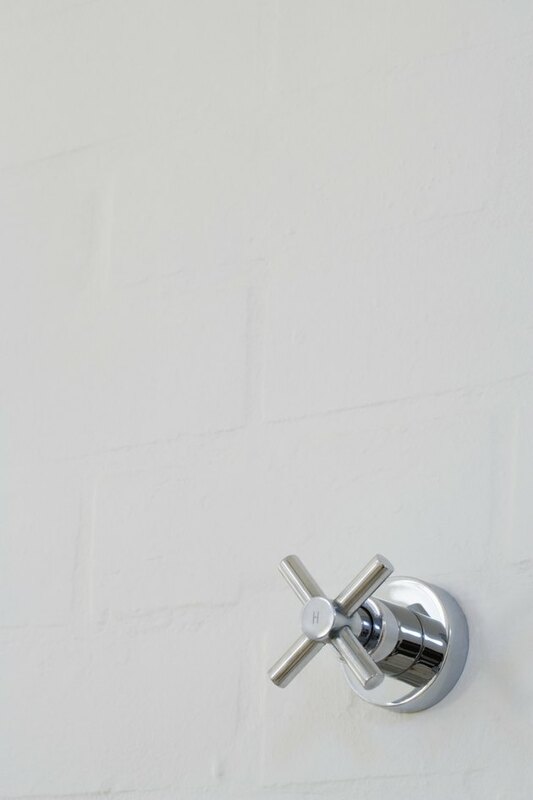 Adjust a tight shower handle for easier turning. Turn off the main water to the house. The main water shutoff is usually located underneath a removable lid in front of the house near the street. Twist the valve completely clockwise to shut it off. In especially cold regions, the main shutoff is often located in the basement or crawlspace. Pry off the decorative cap on the center of the shower handle with the edge of a flat head screwdriver. Twist the exposed set screw in the center of the handle counterclockwise with a Phillips head screwdriver or an Allen wrench, whichever is necessary to remove it. Pull off the handle. Loosen the screw in the escutcheon with a screwdriver then pull the escutcheon off. Grip the packing nut underneath the handle, at the bottom of the stem, with an adjustable wrench. Twist the nut slightly counterclockwise to loosen it. Slide the handle back into position on the stem. Position the set screw in the middle of the handle and tighten it clockwise with the Phillips head screwdriver or Allen wrench. Press the decorative cap back onto the handle. Turn the shower handle on then back off to make sure it is now easier to move. Turn the main water to the house back on, twisting the valve counter-clockwise.